Good thrillers often stand or fall by their initial concept. Think the missing wife and the diary of Gone Girl. Or the woman with amnesia and a journal in Before I Go To Sleep. A simple, possibly plausible, plot driver that is able to twist and flex as the circumstances change. In The Trap, that concept is the reclusive novelist, seeking revenge for the murder of her sister eleven years before.Because she cannot bring herself to leave her house, Linda addresses the issue of drawing out the man she believes responsible for her sister’s murder in the only way she knows how – she writes a book about it. To say too much about the plot of this short, muscular thriller would be to step well into spoiler territory. But the setup has Linda believing that it is a television journalist she saw on the night of her sister’s death and uses the offer of an interview to lure him into a situation in which she can question him. Sections from Linda’s novel pepper the narrative, giving a fictionalised version of the events surrounding her sister’s murder. Raabe uses two layers of unreliable narration to keep everything out of kilter. Linda is constantly questioning herself and her own motives as the plot unfolds. And it is unclear, also, how much the crime thriller she has written reflects the reality of her sister’s murder or merely her idealised version of the event, its aftermath and her part in it. Because of this, Raabe is able to play out in ways the reader does not expect. For all of its potential comparisons to recent bestselling thrillers, aspects of The Trap play out more like Ariel Dorfman’s Death and the Maiden, but without quite the same serious intent. Given its limited locations and cast (most of the present day action takes place in Linda’s house), it is easy to picture this as a play, or in this case the inevitable movie adaptation. The Trap is well paced over three distinct acts. There are plenty of cliffhangers in both the story itself and the in book within the book, but a number of them are false, leaving the reader with serious trust issues. These cliffhangers drive the plot forward, not letting the reader think too deeply between its twists and reverses. 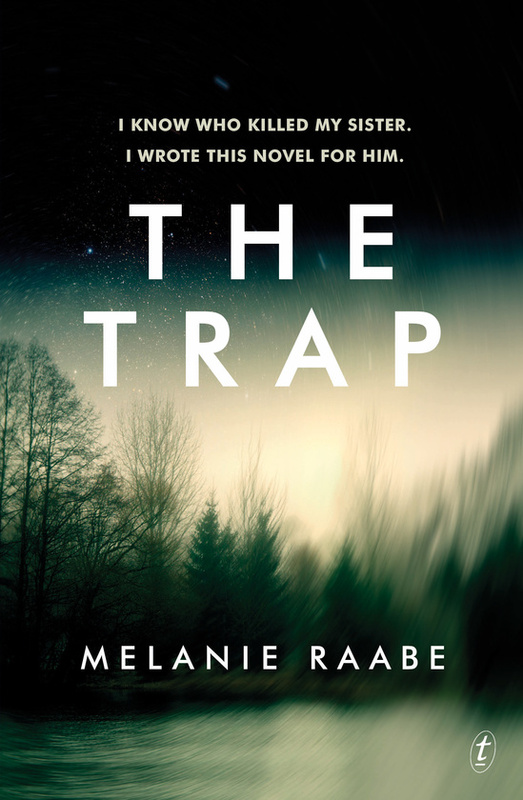 In The Trap Melanie Raabe has delivered an effective page turner. She uses some familiar thriller elements but has used her setup to mould those elements into something original. Overall this is an impressive debut.